The ever romantic and beautiful Isle of Wight has always been a haven for lovers. The Island has witnessed the courtships of prominent individuals such as the Pre-Raphaelites artists, Queen Victoria and Prince Albert and more recently played host to Benedict Cumberbatch’s nuptials. 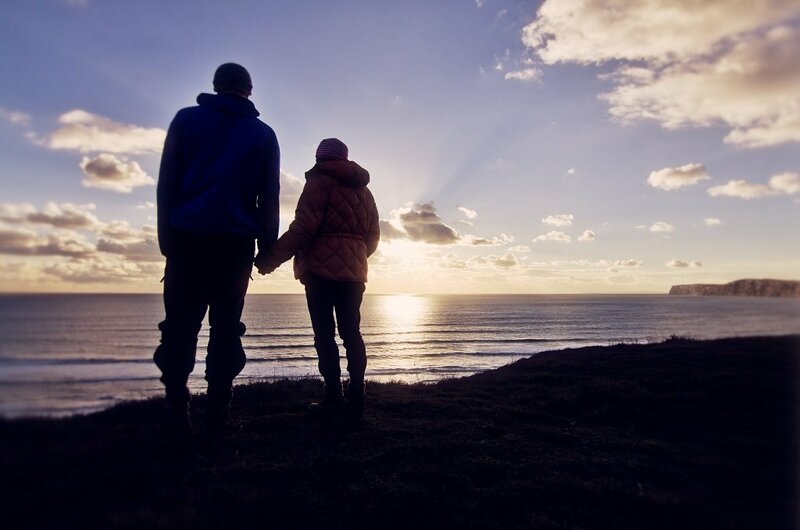 This Valentine’s Day is no different, couples travelling with Wightlink can escape together, reconnect and fall in love away from mainland life. With delicious food and a range of accommodation options, from the eco-friendly Tiny Homes to Keats Cottage where the romantic poet once stayed, there is something for every couple. With all of this set in an Area of Outstanding Natural Beauty, the Island is the perfect place for a romantic getaway. For the traditional romance of a time gone by, couples should visit Keats Cottage – a boutique bed and breakfast and restaurant offering a unique poetry and well-being experience. The romantic poet John Keats once stayed here back in the summer of 1819 and wrote some of his world-renowned poetry on site. Located at the Old Village in Shanklin, the cottage is just a five minute walk from the sea. And, from just £135 per couple per night, couples can enjoy a one night stay as well as a three course dinner from the Valentine’s menu, a glass of bubbly and a full cooked breakfast the following morning. Available from 14-16 February, guests can book at www.keatscottage.co.uk/valentines-weekend-2019. The idyllic Seaview Hotel, situated in the heart of the beautiful sailing village of Seaview, is offering a fabulous romantic getaway at their coastal retreat. Just two minutes from the beautiful Isle of Wight coast, it’s the ultimate casual yet sophisticated Island break. This Valentine’s Day, Seaview is offering a fantastic deal that includes an overnight stay, three-course meal in the restaurant and a glass of champagne on arrival. Priced from only £159 per couple, the offer is available on Thursday 14 and Friday 15 February. Guests can call 01983 612711 or book at www.seaviewhotel.co.uk/offers. The award winning 5-star country house, Haven Hall, offers seven differently designed self-catering period suites within its stunning estate. The Edwardian property is set across two acres of land with sea views, a swimming pool, tennis courts and even a croquet lawn. Exclusively for adults, all suites include a kitchen, dining and lounge areas, as well as glittering chandeliers and elegant antiques. Previous celebrity guests have included Jimmy Carr, Peter Crouch and Colin Firth – so couples can re-enact Firth’s Pride and Prejudice lake scene if the mood strikes! Priced from £460 for a one night’s stay on 14 February and including breakfast, guests can book by calling 07914 796 494 or visiting https://www.havenhall.uk/. For something simpler, Tiny Homes offers couples the chance to live slowly and simply, allowing them to connect and truly enjoy time together. A great romantic getaway this Valentine’s Day, the Tiny Homes movement was born out of a quest for a life lived differently. A romantic welcome hamper will await each couple’s arrival, with the log burner ready to light and blankets galore. Priced from £290 for a three-night stay (based on two adults arriving on 15 February), guests can call 07802 758113 to book or visit http://www.tinyhomesholidays.com/. With seamless train connections to Wightlink’s terminal in Portsmouth Harbour, getting to the Isle of Wight could not be easier for a romantic getaway. Passengers can step off the train at Portsmouth Harbour, hop on a Wightlink FastCat and be on the Island in just 22 minutes, or the car ferry takes just 40 minutes from Portsmouth or Lymington. Wightlink adult foot passengers tickets start from £29 or from just £74 for a return ticket travelling by car (based on return crossings departing on 14 February). For more information and to book, visit www.wightlink.co.uk.